Right: Old spatula inherited from Jolene’s mom that we love. 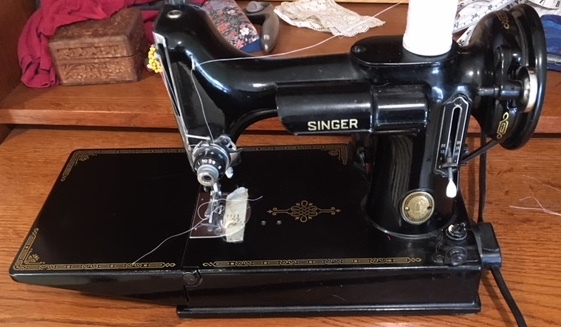 Left: Anne’s Singer Featherweight sewing machine. Three little freezers all in a row. 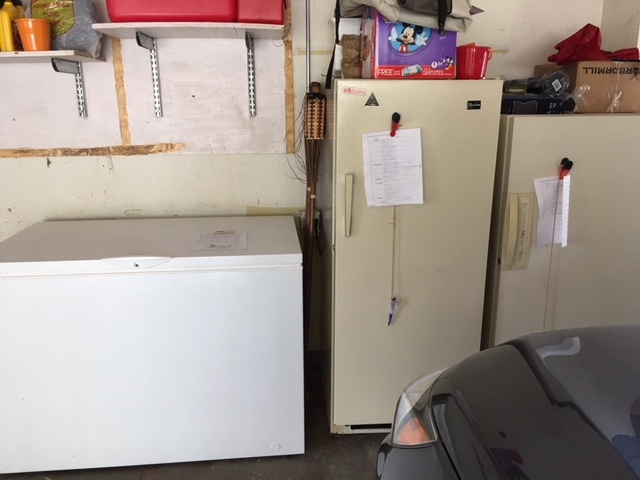 We call them chest freezer, tall freezer, and short freezer. You can enter the contest to name them by leaving name suggestions in the comment box below. The winner will receive a yet-to-be-determined prize that is neither Jolene’s favorite spatula or Anne’s sewing machine. 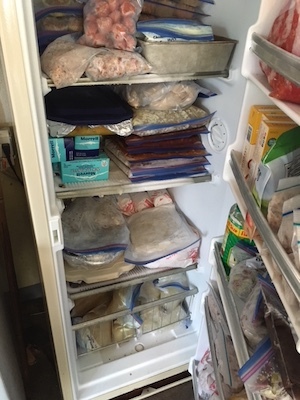 R: The inside of the tall freezer that shows frozen meals stacked on shelves and hard-to-stack items in the door shelves. 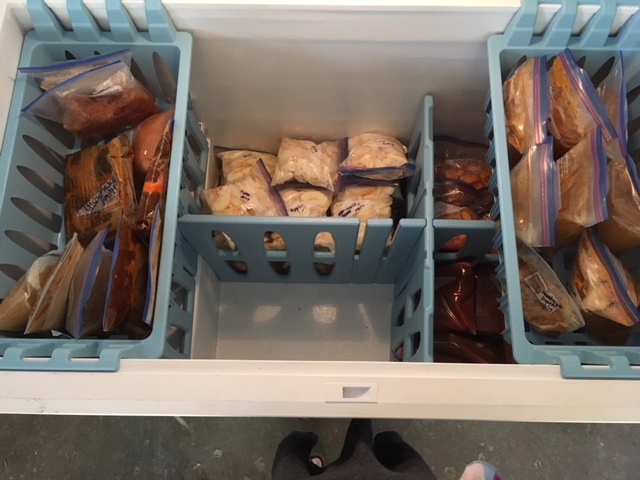 L: The dividers and baskets in the new chest freezer. Don’t they make your heart go pitter-pat?